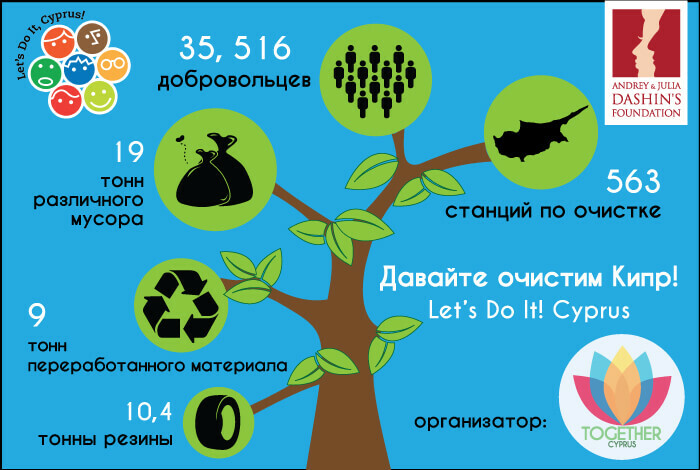 On the 6th of July, the Andrey & Julia Dashin’s Foundation was invited to receive an award regarding its contribution to the protection of the environment. 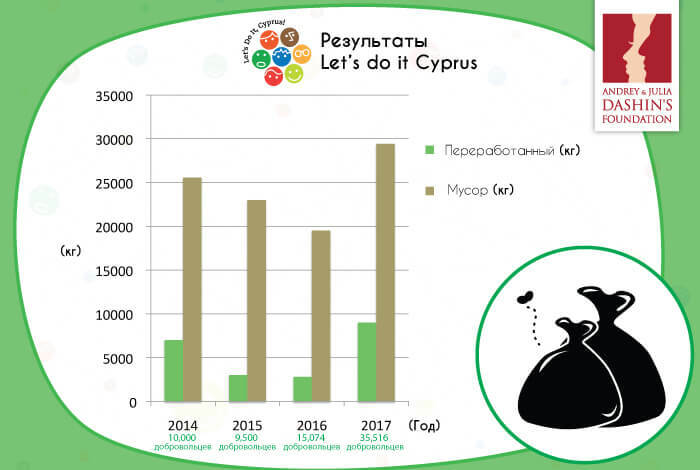 The award ceremony was organised by the local NGO, ‘Together Cyprus’ along with the Cyprus Environment Commissioner, Mrs. Ioanna Panagiotou, and the Commissioner of Volunteerism, Mr. Giannis Giannakis, who congratulated the foundation for its big contribution and its active support to this year’s ‘Let’s do it Cyprus’ Campaign. The ceremony was dedicated in honour of all 35,516 volunteers who helped clean the island in one day. The event was held under the auspices of the President of Cyprus, Mr. Nicos Anastasiades, and was attended by many Cypriot political and financial figures, including the Minister of Culture and Education and members of the Parliament. 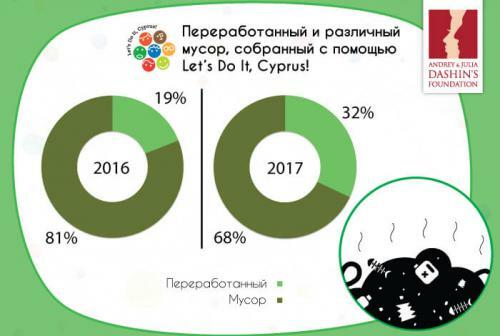 35,516 volunteers gathered order to clean Cyprus’ damns, parks, forests, villages and cities. 563 different stations were set up with the sole purpose of cleaning the island in one day. 19 tons of mixed garbage were collected during the campaign. 9 tons of recycled material and 10,4 tons of rubber were also collected throughout the island.